Cherry oil is a potent concentrate formulated from the drawn-out cannabinoids of the plant through an extraction method, achieved through skillful purging of the solvent used and cannabis solution. Terp’s Bees clean activated Cherry oil is suitable for all smoking, vaporizing, oral and transdermal applications and edibles. Our proprietary system filters and winterizes removing both chlorophylls and waxes leaving the unique terpene profile intact with no need for added terpenes yet eliminates residual solvent levels to zero. Note: There may be air bubbles in the syringe. 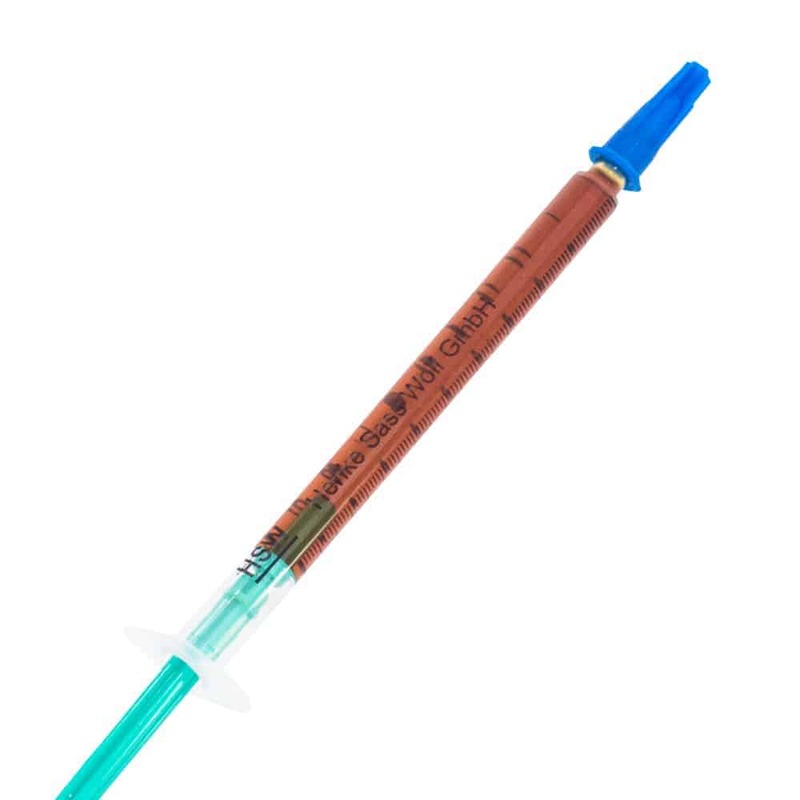 Each syringe is based on weight of 1g rather than volume (ml) of Cherry Oil. 7 reviews for "Terps Bees – Cherry Oil Syringe (1mL)"